App Annie predicts that Indian gaming revenues will reach $1.1 billion by 2020, but there's a long way to go yet. Despite demonetisation and the rise of digital payments oiling the wheels and mobile network coverage also improving, the vast majority in India remain unwilling to spend money on mobile games. The central issue is a cultural one, it seems, and something that will take a considerable amount of time to overturn. What monetisation mechanics have proven most fruitful for you in the Indian mobile games market? I can only speak from my past experiences. As far as monetising games in India is concerned, it’s clear that that the per user spend is much less than it is in other countries and therefore the advertising rates are also lower per click. However, the number of users are generally a lot more so there is that balance to remember before thinking about how much money your game is going to make. In the past, when our previous cricket games on Android have hit the Top 100 Games list, (i.e. overall DAUs of about 10,000) we have managed to make at least $100 to $300 per day on advertising only. When a game hits the top 10 in India, it can make $1,500 to $2,000 per day in advertising alone. Keep in mind that this number can also increase depending on how well the advertising has been integrated into the game and the quality of ads that the ad networks are providing the game. The latter usually requires a lot of consistent relationship management with the ad networks directly. We also know that the number of downloads at this level (80th to 100th rank in the Top Free Games chart), is much lower than the number of downloads in the top 10. We’ve also seen that when a game hits the top 10 games list, along with a good number of returning players, games can make $1,500 to $2,000 per day in advertising alone. There is a lot of contention on the IAP front in terms of how much money games can make with only IAP in India, and the numbers there too are not bad - well, depending on what would be your definition of bad. All I can say is that we’ve seen games on Android in the 50th to 75th positions of the top grossing games charts make $200 to $300 a day. We’ve seen similar numbers on iOS as well, so if a developer has a game with solid distribution and good enough monetisation design built into the game to manage to hit the top 75 grossing charts in both Android and iOS, they could easily make $400 to $600 a day on IAP alone. The top 10 grossing is a whole new ball game though. On Android alone, a game in the 10th position could make as much as $1,500 a day and the number one game on the chart could possibly make close to $7,000 a day. Having said that, no other Indian game (besides the Teen Patti games) have managed to crack even the top 50 grossing games on the Android charts. Even Nazara with their Chhota Bheem games that consistently crack the number one position on the Top Free Games charts, have not managed to crack the top 50 grossing (let alone the top 10). So, for developers to actually make substantial revenues using IAP monetisation in India, the design of the monetisation in their games needs to be as aggressive as Clash of Clans or Teen Patti. A few other monetisation methods that we’ve attempted successfully in the past include avenues like: sponsorship integration, one-off deals, embed deals, try and buy on specific devices, direct deals with premium distributors, third-party distribution stores, etc. All of this is pure business development work, requiring a constant focus and a solid sales initiative to make it successful. The important thing for developers to remember here is that once they have a popular game (i.e. a game that is being played by millions of users), they know that there is a proven demand for that game. If small devs can break the top 50 grossing charts in India, that is certainly a viable business. The act of making it successful from that point onwards is a pure business development and sales job. 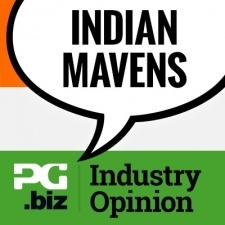 All those avenues combined - a game which is monetising well in India on both the Android and the iOS charts as well as on both avenues of monetisation, i.e. IAP as well as advertising - could make some significant revenues. Clearly, being number one on the Indian grossing charts will get you a lot less revenues than being number one in the top grossing charts of at least 20 to 30 other countries, and definitely less than the combination of all other countries by being globally successful. But if small devs can break the top 10 grossing charts or even the top 50 grossing charts in India, there is certainly a viable and sustainable business to be made and it would go a long way to proving the old adage: "If you're going to do one thing, do it right". I believe that if you can get small successes first, these lead the way to bigger success and in this case, if a developer manages to successfully create a number one game in India, it will lead the way for them to create globally successful games. Most local developers who are driven by monetisation targets have chosen to go after ads, and hence focused on high downloads as a means to achieve it. There are very few who've generated significant revenue from in-app purchases within mobile games in India, and these are predominantly social casino titles. So far, there have been no public statements/sessions regarding how they monetise, and given the high competition they face with each other, it's unlikely that these will be publicly discussed - even from a knowledge sharing perspective at this early stage. Having said that, like all other F2P titles, the methods of monetisation are very visible. If one is looking to understand the typical methods to monetise in India, the good news is that playing any/all of these titles for less than a month should easily surface the methods being used currently. Also, given that a large share of revenue comes from high-roller players, the adventurous ones amongst us should strongly consider spending a good amount - I'd suggest at least Rs. 50,000 (c.$780) - to understand the experience that a high roller might go through. Special offers at a good discount from what's available in their in-app shops. 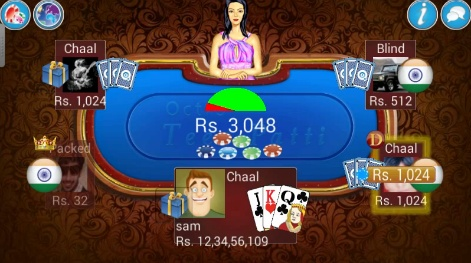 Different formats within the game, so players have more fun. This usually results in spending more time, and therefore a greater likelihood of situations that influence purchase. Almost all top-grossing local titles have a way of sharing currency. Something specific I see in locally developed games is the concept of being a middleman for in-app currency. Almost all the top-grossing local titles have a way of users purchasing for high amounts and sharing the same with friends. This is a good way to overcome the barriers to online payment in India. A friend of yours may really want to make in-app purchases, and is willing to give you hard currency in exchange for you making the online purchase on their behalf. For us at Darksun Tech, the monetisation mechanics that proved effective were to create compelling content, put in a reasonable (but non-irritating) number of ads and focus on letting gameplay and downloads drive ad engagement. We had a massive number of downloads during the era of the Nokia store, and at that time advertisement revenue was a fairly good way to make money. On Google Play, we have realised that the Indian market - whether for in-app purchases or for rewarded advertisement videos - is not what it used to be on the Nokia store, and so we focus on international customers rather than on the Indian market to drive monetisation. This was part of the MGU course Mobile Games University: Monetisation Design. For more articles in this course click here.